“This is the true story of a young Chechen athlete who, at the age of 20, will represent Canada at the 2016 Olympics in Rio as a boxer. Arthur Biyarslanov’s journey begins on a bridge, where, at the age of three, he witnesses his grandmother and siblings being fired upon by Russian troops nervous that, as Muslims, these Chechens might be armed with explosives. By the time Arthur and his siblings reach their father in Azerbaijan, they are refugees. After his father’s death, Arthur and his family face further hardship, deciding to move to Canada in search of a better life. Life in Canada is somewhat of an improvement but the gritty athleticism and combative nature Arthur developed in Azerbaijan serves him well in Toronto’s Jamestown. His skill in soccer helps him win friends and to learn English in a neighbourhood filled with countless foreign languages. Arthur plays soccer for seven years and leads his team to a U.S.A. cup victory but a broken leg mid-way thorough his soccer career gives him pause and time to consider other sports. Boxing finally wins the day. Arthur also finds a mentor/trainer in Danny Santagato. Danny teaches Arthur how to fight using his brain rather than his temper. The next round – the Olympics – will show how successful this story will be. 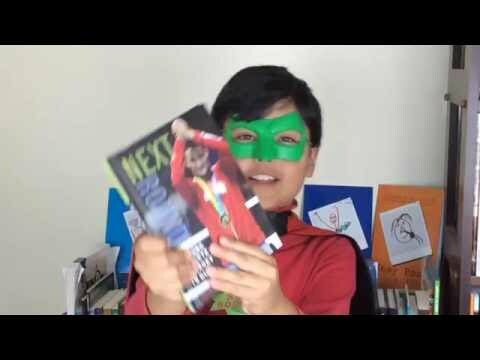 Hello everyone, I am Super Book Boy, and today I have a new book for you. 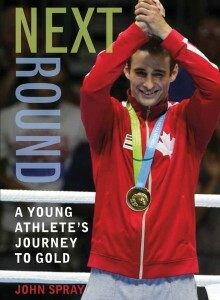 This book is called Next Round: A Young Athlete’s Journey to Gold by John Spray. This book is about a Canadian athlete named Arthur Biyarslanov who, after he broke his leg during soccer practice, tried out boxing. Arthur is from Chechnya, and was only three years old during the first Chechen war. He and his family had to escape from Chechnya as refugees to find a better place to live. This is a true story, and also a very exciting one. My favourite character in this book is… Arthur, of course! And my favourite part of this book is when Arthur faced Zsolt, another boxing champion, for the first time. That was a really exciting part. So will Arthur defeat Zsolt in the book? Read the book, and you’ll find out! Welcome to the D.O. Boxing show, I’m your host Dameon Okposio and in this episode we’re going to be talking about Arthur Biyarslanov’s book, Next Round: A Young Athlete’s Journey to Gold, written by John Spray. This is a great book, for multiple reasons. Not only is it well-written, but it gets you behind the scenes of who Arthur Biyarslanov is, what it took for him to get to Toronto, and a little bit about his background—who he is as a person. I love human interest stories and I fashion my magazine off human interest stories as well. If you can pick up the book, it’s called Next Round. It’s written by John Spray, published by Pajama Press, and is $16.95 CAD. Pick up your copy today. 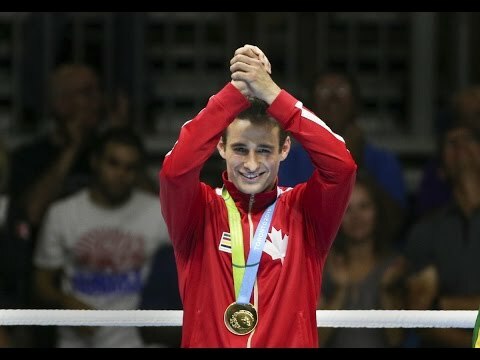 “The 2016 Olympics are on in Rio and the media will be trumpeting the success stories of many an athlete, but Chechen-born Canadian boxer Arthur Biyarslanov has a story like no other. And it’s a story that John Spray, benefactor of the TD Children’s John Spray Mystery Award, tells with inspiration and appreciation in Next Round: A Young Athlete’s Journey to Gold.